Find interesting information to help BUYERS, SELLERS, and INVESTORS (Property Management), as well as ideas on things to do, local information and the latest Real Estate Headline News. Enjoy and Share your Comments! After working hard, raising the family, taking care of others, now is the time for you to relax and enjoy yourself. Play golf, tennis, swim, go for bike rides, read the paper, sip wine or just fall asleep reading a book! It's time to downsize from that large family home, but now what are my options? Where can I afford a single story home with amenities around and still have an area for activity like tennis, golf, fishing, etc? Learn about the communities, view online floor plans, get answers about the HOA fees, review the CC&R's and if that is not enough, schedule a tour to go see some homes to "feel" the communities. The TITLE of a home is the form of ownership and determines signature authority, legal, future rights and tax implications. For this reason, it is wise to understand your options when buying or owning a home as to the best form of ownership to use when recording your home. To assist with this, click here, "Common Ways to Hold Title" for a 2 page article created by Old Republic Title. If after reading this, you have have questions, it is advised you speak with your attorney and/or tax consultant for the best solution for you. When you are satisfied you have reached the best solution for you, then let your real estate agent know so the title company can properly prepare your papers for closing and recording. If you have already closed, you are still able to modify the title ownership and should consult with your attorney to make the necessary changes and have them recorded in the county where the home is located. In 2018, the State of California enacted a new law, Senate Bill 442, that requires all home owners to have their residential pools inspected for safety features to prevent drownings. 1. An enclosure that isolates the swimming pool or spa from the private single-family home. and can accommodate a key lockable device. submerged in water, is not a qualifying drowning prevention safety feature. ASTM or the American Society of Mechanical Engineers (ASME). Then take a moment to review this slide deck and learn about the 5 home projects that will reap the greatest awards when you sell. After watching, leave your comments if you agree or have found other improvements you would suggest. Find a more Affordable home? Manufactured Homes - a solution to consider! I've had several clients recently searching for manufactured homes. So, being curious, I decided to learn some more about them as homes, go tour some sites, see new homes as well as old and discuss with these clients their plans. I was very surprised with what I found in the community parks and especially the new homes! They were spacious, on nice lots in gated communities, some with 9' ceilings, hardwood floors, granite/solid stone counters, dishwashers, decks, crown moulding, double pane windows, plaster walls and solidly built. I also learned that there are remodeled homes, where a builder will completely remodel a home: new flooring, walls, lights, kitchens, appliances, baths, and even granite counter top! Not the mobile homes of the past with thin vinyl walls, aluminum siding and maybe a gravel carport. And the reasons my clients were interested, they could buy them cash from the proceeds of the sale of their homes, not have a mortgage, still remain close to family and friends, have their own home, not be in a multi-unit condo or apartment building and also have time to travel. It met their needs in terms of price, value and conveniences. First, to better understand,, these are not the "mobile" homes I had been accustomed to growing up in the midwest or in passing mobile home parks. You know the ones that always get hit by the tornados. Some of my clients were "downsizing" others have just been on a budget and wanted to have a custom home, purchased for cash, that would not consume all their funds, yet provide a safe, stable home and peace of mind. Another client was starting a new business and wanted a safe home but wanted to focus his investment in his business. Second, since 1976 these are now build to the Housing and Urban Development (HUD) national building standards. If they are fixed to a permanent foundation and permitted by the local building development they are treated as real property for tax purposes. If they are instead placed on "blocks" they may be taxed as personal property. Buyers should always with the local park and communities to determine the tax implications when determining the budget impact. In general, homes built after 1980 are listed on the local property tax roles, while those built before 1980 may be treated as personal property unless the owners have initiated a change. Third, though the one we were looking at for my clients are in community parks, more than 70% of manufactured homes are sold to private property owners who place them on their own land. Much less expensive than a conventional "stick" home, delivered on a timeline and installed on a foundation, ready to go! Fourth, if they are purchased with land they can be financed with conventional 20 and 30 year mortgages. Serious about this and want to talk about buying one? Here is some helpful information to review. 1) Age of the Home - homes built before 1976 may require special financing solutions, such as a higher down payment so the buyer needs to find an experienced lender to assist. Homes built after 1976 have more flexible lender solutions. When we talk I can explain further. 2) Lenders - the number of lenders that will offer loans are limited and specialized. 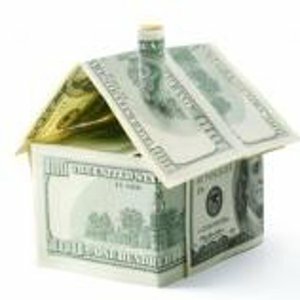 You will need to speak with a lender and get "pre-Approved" so we know how much you can afford in a home. You will need this before you can make a purchase offer, unless you are buying cash and do not need a loan. Have at least qualifying lender FICO score and generally No Co-signers. Mountainside Financial Hard Copy Application Form - print, complete and email or fax. 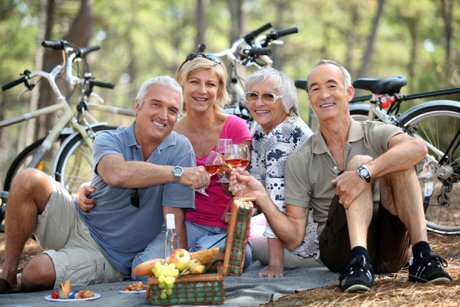 3) Types of Parks: Senior (55+) vs Family - view the same link above to see a list for all the various parks in the East Bay. 4) Park Applications - you should get approved by the park management before making a purchase offer in a park. The park management all use their own application forms so you will need to contact them to get their forms. All parks will require good credit, no criminal records, and monthly income that is at least 3x the cost of their rent per month. 5) Next Steps - Tour Homes - With all this being completed, then we can begin to tour homes and when you find the one you like, we can make an offer to purchase. I can set a search on my website for the locations you are interested in so that you will start to get email updates. See one you like, mark it at a Favorite and I will begin the due diligence to check on our next steps. Home and Pest Inspections - just as with any home purchase, you will want to have the home inspected. As in the lenders, there are select inspectors that work on Manufactured Homes, so give us a call for a referral for your area. Closing Process - the process with a Manufactured home is not as stringent as a Private Home or Condo and if a cash transaction can usually can be done in days instead of multiple weeks. If financed, the closing may take a similar amount of time (30-45 days) as a conventional single family home or condo. Again there are select Title/Escrow companies that are experienced in these transactions so to reduce your timeline, give us a call for a recommendation. 3) California Title 25. Housing and Community Development Mobilehome Parks and Installation Regulations - this document covers all the regulations regarding a mobilehome park and includes information on earthquake bracing, accessory buildings, etc. 4) California Mobile Home Residency Law - 2017 - this link will take you to the California Senate website where you can read and review the current Civil Code Provisions. 5) Tax Questions regarding Mobile Homes - follow this link to the California State Board of Equalization website for the Frequently Asked Questions on tax issues with manufactured homes. 6) Manufactured Home Alterations and Permit Guidelines Chart - This chart helps to define what alterations require a permit, plan review or engineering load requirements. 7) Mobile Home Park Frequently Asked Questions - this California Department of Housing and Community Development website provides some answers to the most frequently asked questions, as well as contacts for more information. 8) CA Dept of Housing and Community Development Mobile Home Program - this is the home page for the HCD division. Here you can find information on the rule, regulations, FAQ's, and Forms provided by the state. Have you ever considered a manufactured home? If not, why not? Interested in learning more? Call me! Looking for a Home in a Specific School Area? On Demand Realty can help! To help you find the most current homes for sale near the schools you prefer, we have used our map searching feature to overlay the school district boundaries on our system. Click Here to see a list of schools in the East Bay ranked 8 and higher based on the California State API scores. Find a school and if is highlighted, click to see homes for sale. From the list of homes displayed, click the home listing for more information or contact us to go see the homes. See below for a sample page showing the listings on the left and the homes on the map within the school district boundaries. Save the Search to your profile and you'll get daily email updates for all changes in that market: New, Sold, Price changes or Pending. If you do not find the school district you are looking for, then send us an email at Info@OnDemandRealty.net. Include the your name, address, email and telephone number and the name of the school and city you would like mapped. We will get back to you when it is completed. Your comments are appreciated. Also your referrals to your your friends, families and associates are also appreciated. It's always interesting to see where others are moving relative to where you live. For those of us who live in California, we sometimes hear that their is a mass exodus to other states, but if you look at the charts below, you will see California is "balanced" with inbound and outbound. From a real estate perspective, this means that Sellers are balanced with Buyers so the net/net is there should be a demand for both sides of the sales transaction. The biggest issue is that the number of homes for sale (inventory) is tight so the prices are higher due to lower availability of homes for sale. For Sellers - you may be able to get more for your home in this market since the demand is high but the number of homes for sale is lower. To make sure you get the best value in the sale of your home, you will need an experienced agent that help set the right market price to optimize your gain in a reasonable amount of time. For Buyers - you will be facing higher prices and more competition as you make offers so you will need to be fully approved for funding and have an experienced agent helping you make the winning presentation. If you are interested in learning more about the local real estate market in the SF East Bay, give us a call. We'll be glad to discuss the market, your home and your timelines for Selling or Buying. Tired of the Time Behind the Wheel? 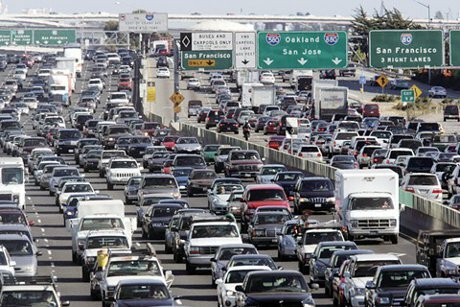 As the economy gets stronger in the Bay Area, the highway commute picks up in direct relation. More jobs = more workers = more cars taking those workers to the jobs. With home prices increasing rapidly near the San Francisco city hub, more and more people are seeking housing in more affordable areas. Thus the commute increases! 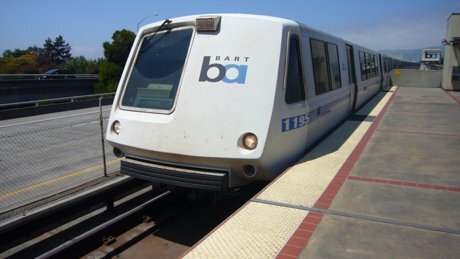 Why not Look for a Home Near BART? On Demand Realty has just added a new feature that maps homes that around the BART East Bay stations. so now you can select a station and see all the most current listings of homes available for sale. Plus, if you then Save the Search, you will get daily updates to your email of all new listings, price changes, pending and sold properties. Give the new feature a try and let us know what you think? We've just added a Revolutionary New Search Feature - Map Searching! Simply draw a map of the areas you want to search in and all the available homes appear both on the map and in a list. Save the search and get Daily Updates! That was Easy! Click Search to see the homes that match your criteria. Click the Interactive Map tab to view the listings on the map. On the top of the map you will see a small icon of a polygon shape with a pen. Click it. Select your starting point on the map, click for the first point, draw, click, draw click, etc., until you get back to the beginning to close the loop. Once you save this search, you will get daily updates of any listing changes: New, Price, Sold. Let me know your comments and share with all your friends, family and associates. If you have questions, or would like us to create the map for you, let us know. We'll be glad to help! Shows the resulting map and the available listings in the map area. Homes for Sale Near Highways for commuters.